Co-parenting is seen as the ideal in society with both parents actively working together and co- operating to share the duties of bringing the children up. It is what is seen to be the ideal for the children but what if you are trying to co-parent with someone is not willing to co-operate and it is not about the children but about control and manipulation over you? Co-parenting with a narcissist is impossible as they are unwilling to co-operate as it is about control over you and puts the children in the middle of the breakup not at the centre. To successfully parent when one parent is a narcissist, the only option is to parallel parent. This is where both parents disengage from each other limiting direct contact with each other allowing both parents full connection with the children but minimising conflict and control between themselves. This is the ideal the children and all the research suggests that parallel parenting where narcissists are involved is far less traumatic for the children. 1. 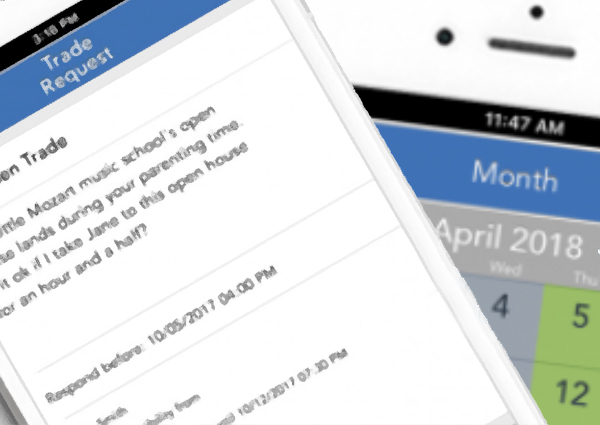 Communication can be via email only or an online parenting tool such as my parallel parenting wizard found on my website. This helps dial down control and excessive back and forth messaging minimising control and putting the focus back purely on the children. 2. It allows minimal interaction with each other meaning that both parents are never in the same environment as there is an understanding that this would be more detrimental to the children as has a bigger impact on the mental health of the victim who was abused by the narcissist which would have a knock on effect on how they parent. 3. Letting go of the control or interference when the other parent has the children. You can only control yourself and wanting to control what the other parent does or does not do when they have the children is pointless and leads to arguments and acrimony which affects the mental health of the parent who was the victim of the abuse and this has to be avoided at all costs. 5. Parallel parenting is all about allowing the person who was abused a chance to be the parent they want yet protecting their mental health. I always tell my clients that they need to be putting themselves first when coming out of a narcissistic relationship even above their children because if they do not focus on their mental health, this will have a ripple effect onto their parenting abilities and healing themselves is the biggest gift they can give their children as they are role modelling the behaviour of how to deal with a narcissist which helps teach them skills moving forward as they get older but without the conflict associated with co-parenting where the children see rows, arguments and shouting. When you divorce a narcissist, it is unlike any other breakup as it does not just stop when you receive your absolute, especially if you have children together. There are key strategies that you can implement. I coach my clients through three stages of recovery from narcissistic abuse and that is perspective, power and positivity with parallel parenting and no contact being at the heart of the power stage. This allows you time to deal with your addiction to the narcissist and focus purely on healing rather than re injecting yourself all the time slowing down recovery.